As with any other business, starting an export business requires lots of learning and research. You need to really understand how everything works in the business. To achieve this, you may need to contact seasoned and successful exporters who have deep understanding of the Nigerian and foreign markets. Now, beware of some so-called Nigerian “gurus" who sell e- books and try to teach people how to start an export business, but are not exporters themselves. Your ideal mentors are those who have really achieved huge success as exporters and can teach you the real, practical aspects of the business. If you plunge into the export business without adequate information and knowledge, you will most likely fail, and you will quit much sooner than you can imagine. To earn maximum profits from your export products or commodities, you need to sell them in a country where they are in huge demand. While it could be tempting to seed your products to any just country that you can establish connections in, selling them to a market that is hungry for them and has low competition is the smartest way to make maximum profits. How do you figure out the most promising foreign market? You can do this by simply by conducting structured research. This entails short listing countries where you think your products will sell well in, and then carefully researching the market in each country before making a decision. If you export your products to a foreign market that does not want them; you will record very little profits, if any at all or even huge losses. Many new Nigerian exporters are often tempted into targeting multiple foreign markets at once. This is a huge mistake that leaves most of them badly burdened because they get to spend more money, time, and resources than they can afford. Even if you can afford the cost of sending your products to multiple markets at once, take your time to study all the aspects of the export business before doing such. When starting out, always stick with one foreign market at a time. After you have gained enough experience and know-how, you can then start focusing on multiple foreign markets. Another common problem that many new Nigerian exporters face is the inability to find a good agent or distributor in their target foreign market. Some of them fall into the hands of greedy distributors that leave them with very little or even no profit. 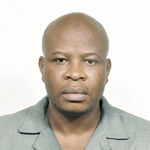 Worse, some fall into the hands of fraudsters who disappear into thin air after receiving their products. Though chances are slim that you can find the perfect agent or distributor on your first trip, with carefully conducted research, you will be able to find good ones that you will be happy working with. So, when choosing your export partners, choose with care. Make sure to invest ample time and effort to locate and secure the commitment of really good agents, distributors, customs brokers, and other agents in your country. 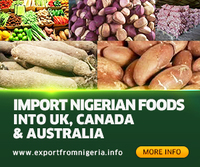 Many Nigerian exporters send their commodities to foreign markets without having a feel of those markets themselves. Though you can still achieve success without necessarily visiting your target market, the only way to really appreciate a new country and its people as well as understand its market is by visiting. Aside that you will be able to perceive the demand for your product, you will also be able to meet with distributors face-to-face. Such face-to-face meetings will reduce your chances of landing in the hands of the wrong distributors (you never know the guy at the other end of your emails or phone calls). 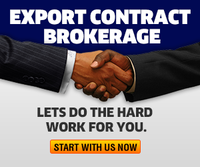 In the rush to start making huge profits, some newbie exporters hurry through the process of choosing foreign distributors and agents. But they later pay the price the hard way when their budding export business becomes a tangled mess of distributions worries, shady transactions, and marketing breakdowns. So, before you begin exporting, take your time to verify the credibility of any foreign partners you want to work with. Before going ahead to deal with them, be sure that they are reliable and capable of delivering what they promise. In certain aspects, selling to an international market is just similar to selling to a domestic market. Your products won’t find their way into your target market unless you have taken the time to put together and implement a marketing plan. Doing this for a foreign market is trickier and more complex, but it must be done. Whether your products will enjoy massive patronage in your target foreign market or not depends on your marketing efforts. So, if you want to realize huge profits from your exports, you need to market like wild. Don’t leave this to foreign distributors. There are no doubts over the huge profitability of the export business in Nigeria. But then, going into the business with the sole aim of raking some quick profits is a recipe for failure. When starting out, you need to focus on a lot of aspects to get your business firm on the ground. These include building connections with foreign partners, finding profitable products to export, prospecting for lucrative foreign markets, and so on. So, you need to focus on growing your business. That should be your primary aim. The more focused and determined you are, the more successful you will become, and the more money you will make. If you are able to avoid these nine mistakes, then you will be on your way to joining the league of successful exporters in Nigeria.